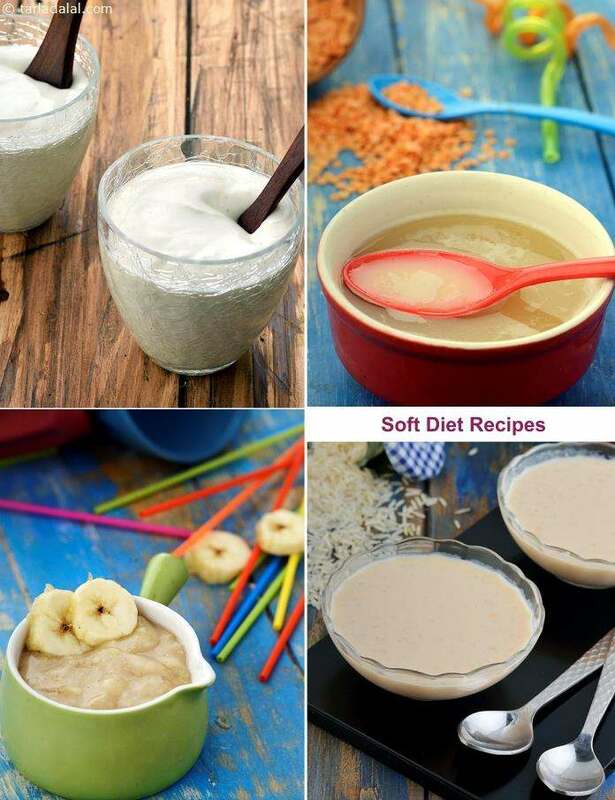 A soft diet is a low fiber, low fat and not so richly seasoned food. Soft foods which are easy to chew and digest is the main focus of this diet. It bridges the gap between acute illness and convalescence, mostly prescribed after surgery or to people with dental problems. It is nutritionally more adequate than clear liquid and full liquid diet. High fiber grains, vegetables and fruits in its raw form, nuts, carbonated beverages, fried foods and whole spices are to be marked high on the ‘No’ list. This diet gives approximately 1500 calories and 35-40 gm of protein daily.